Fruitcakes get a lot of bad press, especially the mass-produced boxed varieties, but a dense, moist homemade version can be incredibly delicious. The South, with its love for baking cakes, has handed down many fruitcake recipes through the years. One vintage Southern cookbook, "Mrs. Hill's New Cookbook" (1872) gives recipes for five, including a "Cheap Fruitcake" and a "Black Cake" - also known as "Caribbean Cake", due to it's close ties to the British Plum Pudding and the fact that it contains rum. In Mary Randolph's "The Virginia Housewife" (1824), there is a recipe for "A Rich Fruit Cake" with a pound cake batter and 9 pounds of assorted raisins, currants, almonds and citron. Generally speaking, fruitcake contains a combination of fruits and nuts folded into just enough batter to hold the cake together. Fruitcakes have been known to be good after months - and in some cases, even years - when wrapped in cloth and foil, saturated with alcoholic liquors regularly and kept in tightly sealed containers or wrappings. If there are particular fruits you don't like, you can always include more of another fruit or some of your favorites. Dried fruits cooked in juice can take the place of candied fruits. Sunflower seeds or hulled pumpkin seeds make a suitable replacement for nuts. To convert a favorite "dark" fruitcake recipe to a "light" fruitcake, leave out the dark spices, use light colored fruits (golden raisins, dried apricots, etc. ), and replace dark corn syrup or molasses with light corn syrup. To prevent over-browning, line the bottom and sides of the pan with foil. If you leave extra foil overlapping the sides, it will be easier to remove the cake from the pan. When baking, set the fruitcake pan in a baking pan (9 x 13 x 2-inch) half-filled with water. The water serves as insulation and can help prevent burning around the edges. If you're short on time, but want to bake a holiday fruitcake, you're in luck! 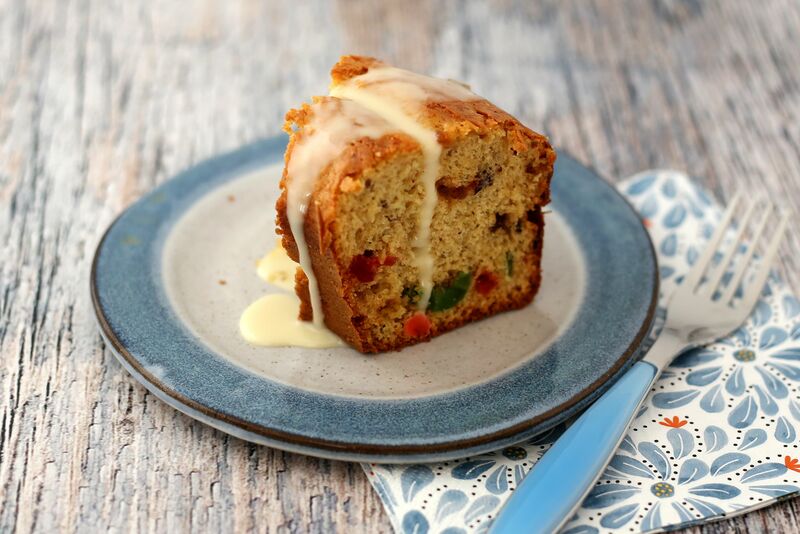 This recipe is an attractive and delicious fruitcake made with a cake mix. Use a spice cake mix or add spices to another flavor. Apricot brandy and apricot nectar add to the holiday spirit in this cake. This tube cake isn't a classic candied fruit-filled fruitcake, but it is a fabulously moist and dense option, filled with bourbon-plumped raisins and lots of chopped pecans. It's an excellent cake and perfect for the holidays. Christmas Lizzies are a classic Christmas cookie. They're filled with colorful chopped candied fruits and nuts, giving them amazing texture and flavor. The recipe calls for some bourbon, but feel free to use orange juice or brandy instead. Nothing conveys love quite like homemade gifts, and this fruitcake is an excellent example. Everyone will appreciate this spiced, fruit-filled cake. Make several for friends, family, and coworkers. This unique fruitcake is a Chilean specialty, and it's thought to have evolved from the German stollen and the Italian panettone. It's a rich spiced cake with nuts, raisins, and cherries. A bit of coffee and anise liqueur set it apart from other fruitcakes. 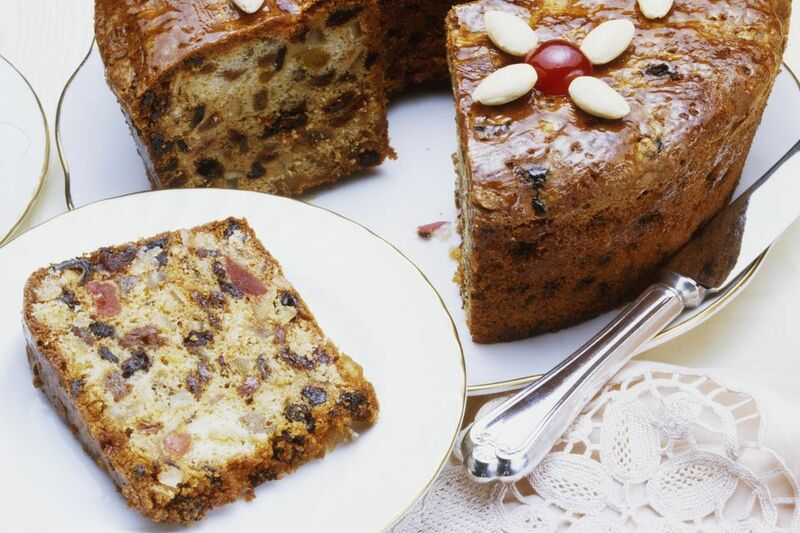 This lovely British fruitcake boasts a filling of golden raisins, currants, cherries and candied peels. It's delicately laced with brandy. Just wrap the cake well and sprinkle a few tablespoons of brandy over it every few weeks until Christmas, then enjoy! Candied cherries, mixed candied fruits and peels, chopped dates, and pecans jazz these delightful cookies up for the holidays. Replace the dates with raisins or dried cranberries if you'd like to change things up. Bake this fruitcake in loaf pans or tube cake pans. The recipe makes from four to six cakes, depending on the pans used. It's a butter-rich cake with brandy, citrus juices, and several pounds of nuts and fruits. Dates, candied fruits and peels, and chopped pecans go into these perfectly spiced fruitcake bars. Bake the bars in a sheet cake pan or a jelly-roll pan. The bars will keep for about one week in a tightly covered container, or freeze them for longer storage. You won't miss the wheat flour in this gluten-free version. Eight cups of dried fruits and nuts add flavor and texture to this festive butter-rich cake. Use your favorite blend of gluten-free flour for the cake.